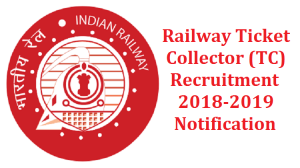 RRB Ticket collector TC Recruitment 2018 notification details, result, admit card, answer key,Cutt off marks selection list, exam pattern syllabus etc. Selection process: CBT exam +DV+Medical test. with 1 and half hour. after results will release, the cutt off marks & selection list will be announced by RRB Recruitment Board. the finalized candidates, called for documents verification & Medical examination etc. Downloading the RRB TC Admit card may not be tough as you think. because recently railway recruitment board connected its all zones into a centralized application portal. but the candidates has to check whether the vacancies for left for zone / Area. ex: if RRB Secunderabad has no vacancies for Ticket collector posts, then South central region candidates no need to apply, but if they want to apply for ticket collector posts other than their region may follow the guidelines prescribed on RRB TC Application Portal. just log on to the TC Portal, and click RRB TC Admit card 2018. Enter Your details to download the Ticket collector hall ticket from respective RRB zones. General Awareness Polity,science & technology, geography, indian, history constitution,culture,heritage,politics,sports. Arithmetic profit loss, ratio, proportion, simplifications, LCM&HCF,time & works,distance,simple & compound interest,percentages, data interpretation. Reasoning Age related questions, relations hip, observation, discrimination, analogies,similarities,number series, verbal, numerical reasoning.